Benedict XVI. Caritas in Veritate, 37. Investing is just and legitimate. What makes the difference is how you do it.  The mission of Altum Faithful Investing is advising the management of the investments of our clients with professionalism, always seeking two objectives: obtaining adequate profitability and ensuring that the investment portfolio fulfils the teaching of the Catholic Church at all times. We seek not only the greatest return for our clients but also to be an instrument of evangelisation. We combine professional wealth management with the Social Teaching of the Church. All with one objective: to obtain the greatest return but investing with rectitude. We help our clients to manage their wealth professionally and to invest with consistency. We apply ethical criteria to your portfolio so that your investment does not conflict with your morals. We strive to ensure that your investments 100% fulfil the Catholic teaching (we insist, 100%). At Altum Faithful Investing, we believe in the logic of gift and reciprocity. We place 100% of our net profit at the service of ministry. Welcome to the logic of gift! Being transparent: Is the best way we have to return to our clients and stakeholders the confidence that they have placed in us. ¿Quieres recibir las novedades y noticias de Altum en tu email? Do you want to receive Altum news in your email? Vuoi ricevere le notizie e le notizie di Altum nella tua email?